TVLogic LQM series of professional broadcast video monitors. Display multiple video sources or video tools on-screen at once. TVlogic LQM-071W UK List Price: £2,420 +VAT. The TVLogic LQM-071W is a compact 7” Quad-Split Display With Integrated Waveform/Vector Scope Function. Ideally suited for monitoring multiple sources at once for audio checks and multi-camera shoots. TVlogic LQM-171W UK List Price: £3,611 +VAT. 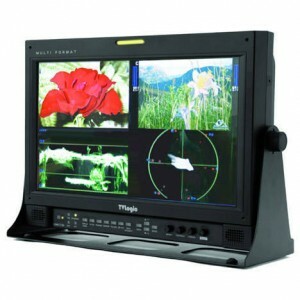 The TVLogic LQM-171W is a compact 17” Quad-Split Display With Integrated Waveform/Vector Scope Function. Ideally suited for monitoring multiple sources at once for audio checks and multi-camera shoots. TVlogic LQM-241W UK List Price: £4,148 +VAT. 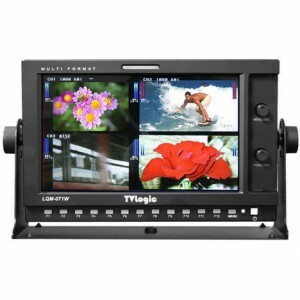 The TVLogic LQM-241W is a 24” Quad-Split Display With Integrated Waveform/Vector Scope Function. Ideally suited for monitoring multiple sources at once for audio checks and multi-camera shoots. 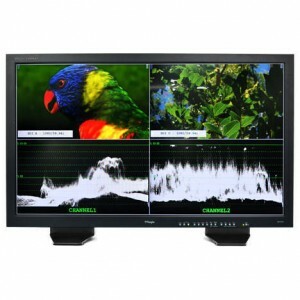 The TVLogic LQM-471W is a 47” Quad-Split Display With Integrated Waveform/Vector Scope Function. 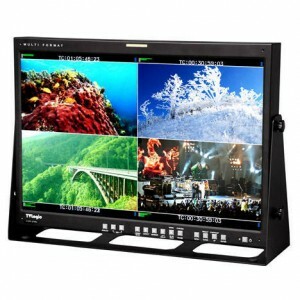 Ideally suited for monitoring multiple sources at once for audio checks and multi-camera shoots.